Hey there! Just popping in with a quick post before I head off to work. 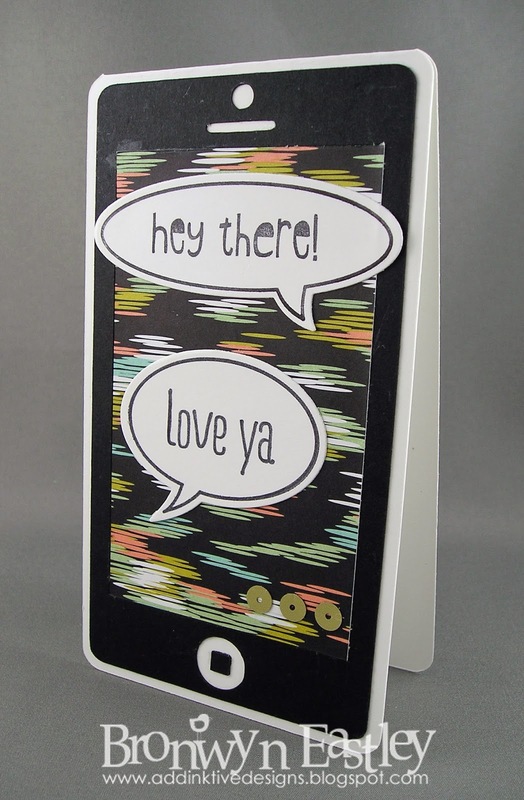 I wanted to share with you another one of my Smart Phone Cards that I designed from Stampin' Up! ® Digital Punches. It features the gorgeous SALE-A-BRATION Designer Series Paper called Sweet Sorbet and one of my favourite stamp sets, Just Sayin' and matching Word Bubbles Framelits Dies. 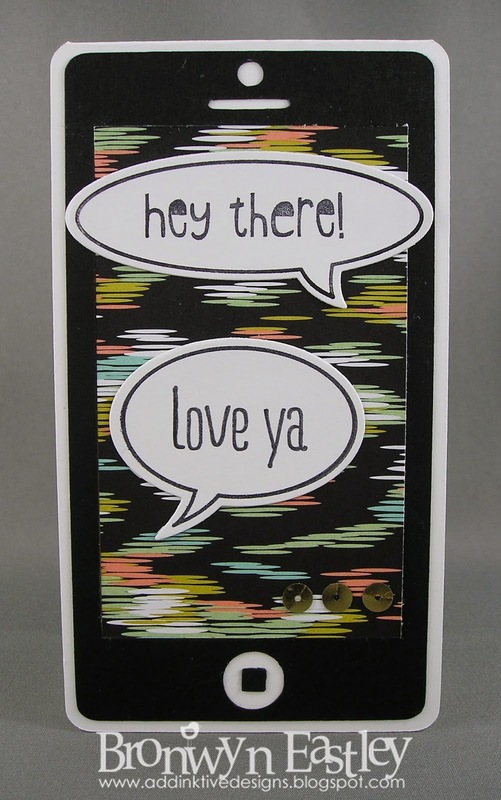 For more info on how I made this card, you can check out my first iPhone Card HERE.